Highlights aplenty in New Japan's upgraded, supersized tournament. NJPW wrapped their 15th annual New Japan Cup today, capping the 32-man single-elimination tournament with a fun tour-ending show highlighted, as expected, by the final: SANADA vs. Kazuchika Okada. 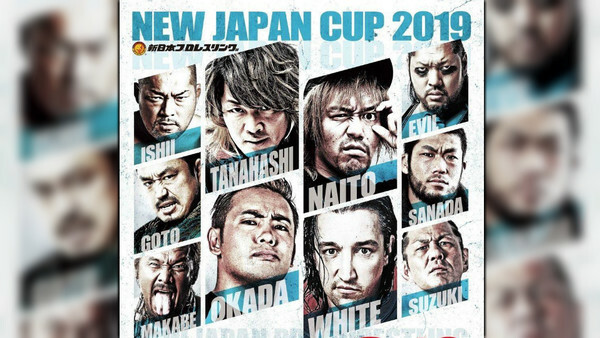 With twice the usual 16-man field, this was the biggest and most important New Japan Cup yet. Winner Okada will now challenge IWGP Heavyweight Champion Jay White at the G1 Supercard in Madison Square Garden. He won the competition with a series of sublime performances against the likes of Tomohiro Ishii and Will Ospreay, and the Supercard has a main event worthy of the occasion. The New Japan Cup delivered 12 shows over 17 days. Attempting to analyse everything in this rundown would be foolish. Thus, most preliminary multi-mans won't be covered, and while certain tournament bouts of distinction will get individual treatment, show-wide roundups will comprise much of our review. While the G1 Climax will never be supplanted as NJPW's premier tournament, this year's New Japan Cup closed the gap between this and the summer spectacular, and it helps that Gedo booked the tournament to perfection. The old 'Rainmaker' is back, but White has his number. 'Switchblade' is 2-0 against Okada in singles matches. This will provide the narrative heading into MSG, and we can't wait to see how it pans out.